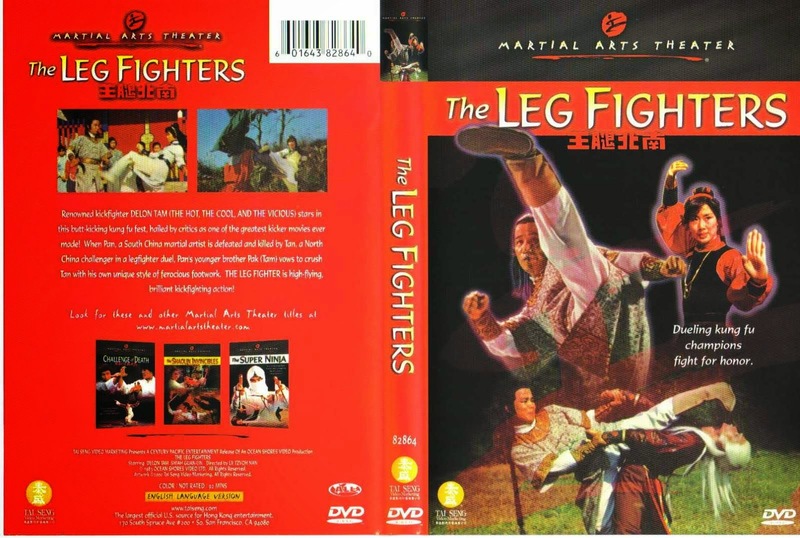 In his honor, I am posting my favorite movie of his, The Leg Fighters aka The Invincible Kung Fu Legs. Phoenix (Ha Kwong-Li) is the prodigal daughter of sorts with a chip on her shoulder. She's asked to learn kung fu from kicking expert Mo Ku-fung (Sun Jung-Chi), but despises his harsh training. She and Chin Pan, her mischievous servant say good riddance when he leaves to attend to his sick wife. Replacing him is another top kicker named Tan Hai-chi (Tao-liang Tan) who resumes training. Phoenix transfers her disdain to Tan and their relationship sours until she gets mixed up with two idiot village bullies named Ding Dong and Dong Dong. Tan exploits the situation in order to humble Phoenix, who in turn agrees to be a dutiful student going forward. Focused leg training resumes until a vicious master of the ground kick named Peng Fung (Peng Kong) comes looking to avenge Tan's killing of his brother. Phoenix joins her new master in fighting Peng in a battle of leg mastery.